Japan is one of those World Showcase pavilions that stands out, even amongst the other nearby gems of Morocco and France. There isn’t a corner of the pavilion that isn’t steeped in a deep understanding of the country’s culture, history, architecture, horticulture, and other disciplines. The pagoda, torii gate, and castle may be the main focal points of the pavilion, but I’ve also found myself drawn to the natural elements of the garden areas and the simplistic, yet beautifully crafted, quick service dining location at the top of the hill behind the pagoda. 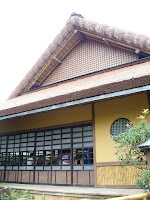 The 2012 refurbishment of the restaurant included a name change from Yakitori House to Katsura Grill. While the restaurant would see more than just superficial changes, the name change was anything but. To understand why the name change is so important, we need to go back to the plans for the pavilion itself. 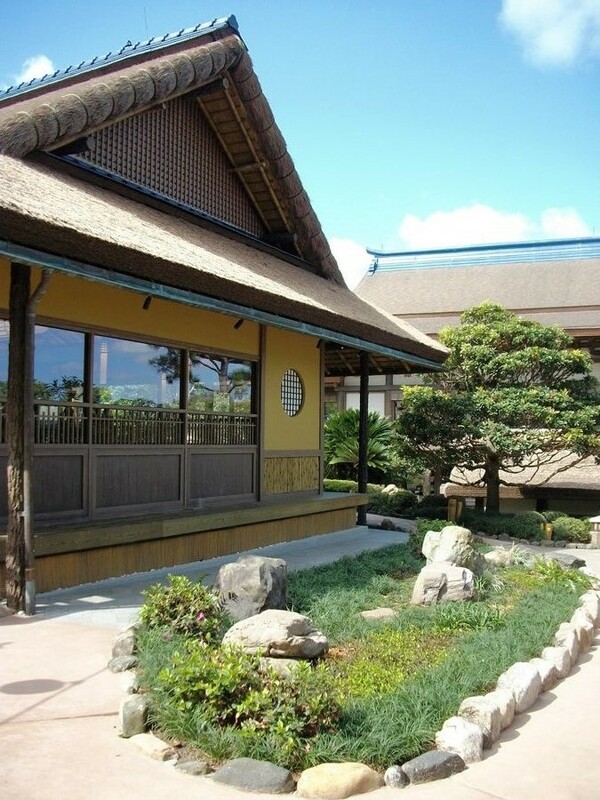 Yakitori House, as it was known when EPCOT Center opened, was designed to look like a single section of the Katsura Imperial Villa, which resides in Kyoto. The site the restaurant was modeled after is, to this day, considered one of the crown jewels of Japanese architecture. With that type of pedigree you can see why the Imagineers would want to include it in their plans for EPCOT Center’s Japan pavilion. The Katsura Imperial Villa would end up being comprised of three sections, the smallest of which was recreated for the park. Digging in a bit further, the villa was actually designed by a 16th century landscape designer who placed three conditions on his undertaking of the project. The leeway he was provided was unheard of at the time, but he was able to obtain a guarantee from his benefactor, Hideyoshi. His provisions were that during the creation of this summer villa he would not be burden by any budgetary constraints, the project could take as long as he needed, and no one could interfere, offer opinions, or change anything of his designs until construction had been completed. You can see from the before and after photos in the article that some of the simple, yet elegant, design elements stayed through the refurbishment process. The changes did brighten up the interior, but kept the overall look of the structure intact. A name change may not be the most substantive modification to the quick-service dining location in the Japan pavilion, but it does give us a chance to educate ourselves about the building’s inspiration and history.